We took a little Ikea excursion last week partly to get out of the house but also to look for the stools for the island and the shelf for under the pot rack. They did not have the stools that we wanted, but in the end it all worked out for the better. We were trying to be conscious parents and thought we should get stools with backs on them. However, we realized that once Aiden is old enough to sit on the stool, he probably will be fine- he's a boy, I think he will survive. Anyway, when we got home I started looking for some stools online. I really wanted to stay in our budget. The Ikea stools were $70 each and we had planned on getting 3. So I was looking to spend around $200 total. 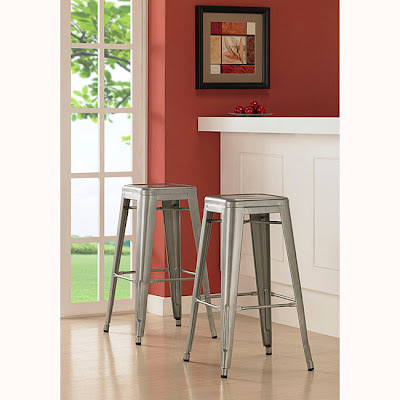 I looked on Overstock and immediately found these stools and they were only $100 for 2. 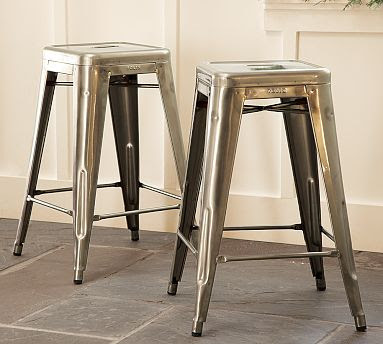 I have seen almost the exact same stool on the Pottery Barn website. Below are the pictures from the Pottery Barn website and the Overstock website. They are the exact same stool. And the price at Pottery Barn, $240- FOR ONE! Ridiculous. So needless to say, I showed these to Rob, he loved them and said to order them right away. And they arrived today. We really only needed 3, but they came 2 together, and the price was still $200. And, as you can see, we got the same shelf from Ikea that we have in the living room. It fits perfectly in the space and these shelves are the best. I wanted something that would provide enough storage for things like the mixer, and I plan on getting some baskets for a couple of the shelves to hold things like dish towels. I also think the open shelving makes it feel warmer, which I like. Oh, and lastly, you may notice that the floor is fixed. We couldn't find this exact flooring anywhere, so we decided to cut a piece out of the closet and Rob did a great job of lining it all up and making it unnoticeable. So, that's pretty much it. The last thing we have to do is the backsplash and I'm not sure when that will get done, but I think everything has really come together and I am loving the space. Aiden also enjoys climbing in the open shelves and moving the new stools all around the kitchen. Hope you are all having a good week. I am praying that this snow storm blows right over us and completely misses. I am trying to think positively. Jen, the kitchen looks so great! It all came together so nicely. 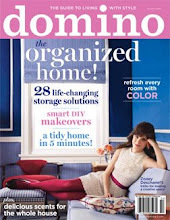 Where are you going to do the backsplash? Can't wait to hang out in there together this summer. thanks Gwyn :-) can't wait til the summer!! The backspash is going under the cabinets where the sink and stove are. So, just those 2 areas. I think Rob and Dad will work on that as a weekend project some time soon.